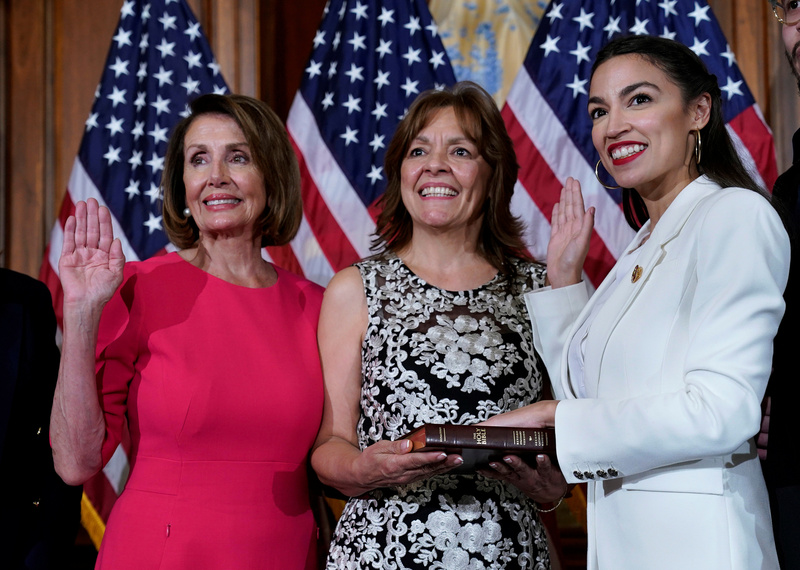 House Speaker Nancy Pelosi is not sold on New York Rep. Alexandria Ocasio-Cortez’s “Green New Deal” that’s become a rallying point for Democratic presidential hopefuls and progressive lawmakers. Ocasio-Cortez, a Democrat, introduced the House version of the “Green New Deal” Thursday, and Massachusetts Democratic Sen. Ed Markey introduced a companion bill in the Senate. Several Democratic 2020 presidential hopefuls backed Markey’s resolution. The “Green New Deal” bill calls for “10-year national mobilizations” aimed at fighting global warming, according to a copy of the bill obtained by NPR, including for the U.S. to get all its energy from renewables — though the bill itself doesn’t make that distinction. However, the resolution has zero chance of passing, and it’s unclear it would even get enough support from Democratic lawmakers. Pelosi oversaw the failure of cap-and-trade legislation in 2010, so she wants any future comprehensive global warming bill to have broader support in both chambers of Congress. “This time it has to be Congress-wide,” Pelosi told Politico.